Big level lawns and peaceful flagstone patio are enhanced by delightful gardens, brick pathways, heritage and fruit trees in this over 1/3 acre private Dominican estate. The 3 bedroom plus office and 3 bath remodeled home of almost 2800 square feet has a feeling of warmth and livability with its hardwood floors, high beamed ceilings, romantic master suite, nature out of every window, French doors and Great Room leading out to an amazing backyard. 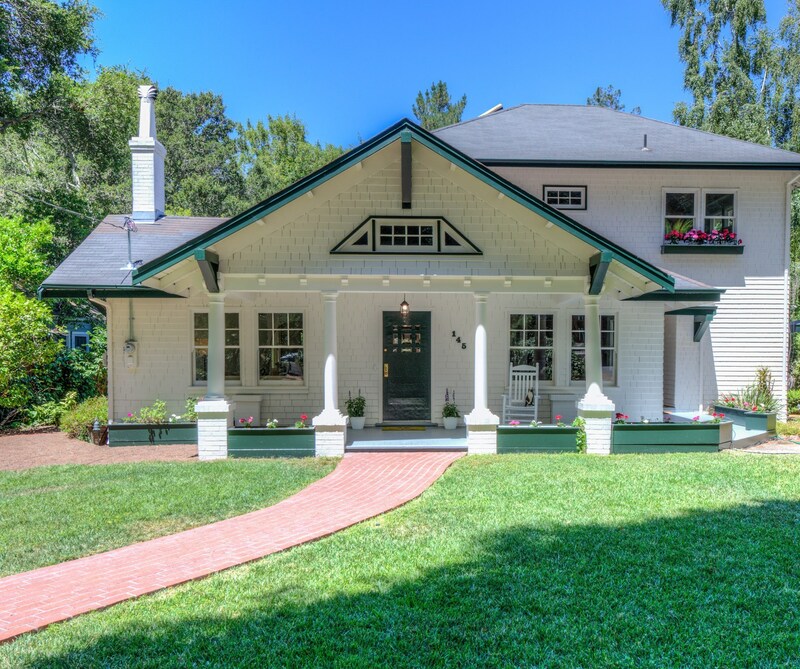 This very special property is located near Dominican University campus, great hiking & biking trails, super shopping, dining, award winning schools, Highway 101 and access to the entire Bay Area. Check out www.145Locust.com for additional photos and property information. Sunday Open House, 7/17 from 1 to 4 p.m.